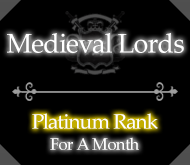 Medieval Lords™ - Home - Enjin - It&#039;s time for reworks! 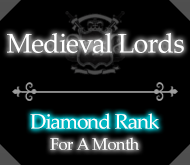 It's been just about 3 weeks since my last progress report, and I'm happy to show you guys some of the results of the staff team's labor. The recipe rework, although a bit late from ironing out bugs, is just about ready to be released, and will go live on Saturday, 10-21-17! As explained in earlier news posts, the new recipes will mainly give attributes now, along with health and mana, and the usual potion effects. You must refill your recipe book from the start, though you do get to keep whatever ingredients you had already learned. 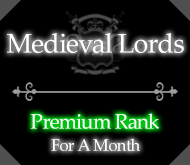 As some of you may have seen, there's recently been a slight call for some class pvp to freshen up the class system, and after some development, we're ready to release our first iteration of this! There will only be one area where class pvp is enabled, and that'll be in a specific arena we've built. In this arena, you keep your inventory and exp on death. In the future, should demand rise, we may change this so players may fight for equipment as well. The Class PVP Release will also be released on Saturday, 10-21-17. However, this is but a small portion of the release. The real update to classes lies ahead. It's been quite some time since tier 2 has been touched due to development on tier 3 and elsewhere, but the skills compared to tier 3 have aged quite poorly. Every single class has had at least a few skills reworked visual-wise and some skills have been largely changed so as to make the class viable in pvp. I will make a forum post soon describing all the changes made to each class. 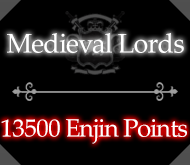 On top of this, due to the change, we will be able to add a "exp to next level" section on the lord board. Finally, with the update, we will (hopefully) be adding prefixes to player names so as to make it easier to see what class a player is. Unfortunately, there were a few bugs on the dev server with this feature, so that one might not make it through to the update. 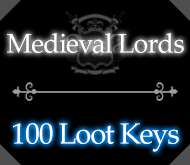 This rework will also be released on Saturday, 10-21-17. In case you didn't notice a trend, all of these reworks will be released on the same day. These releases will also coincide with our update to 1.12.2 (we've been on 1.12 this entire time because a few plugins kept us stuck). What this means is there could very well be multiple unforeseen bugs. Please keep your eyes peeled and report any bugs you find! If we catch you abusing bugs, you will be punished! Finally, if the update doesn't go smoothly, we may push the update to Sunday, 10-22-17 in order to fix bugs that come up. Here's to hoping it'll all go well!